Scrambled egg sandwich on two pieces of whole wheat toast. Dash of hot sauce on the eggs. Use butter. Yes. I just went there. 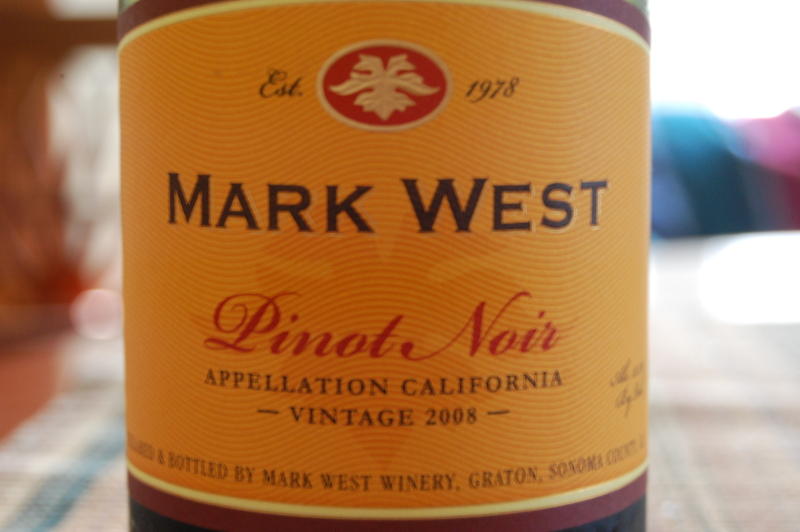 Now, there’s nothing wrong with Mark West Pinot Noir (or an egg sandwich for dinner for that matter). It’s a good representation of northern California Pinot Noir. However, trying to pair an interesting dish with the MWPN is kind of like bringing your Toyota Corolla to the red carpet of a movie premier. You have to keep it simple. More than simple. As if the stars had aligned, I simultaneously happened to have an opened bottle of MWPN and next to nothing in my refrigerator besides eggs on the same night. A peculiar laziness had also asserted itself over me and thus, the pairing. If you’re ever in a pinch, do the same with a similar Pinot Noir. It works. It really works. I would never try this with an aged Pinot Noir. The tannin found naturally in the varietal can take on the fats in the butter creating a rather smooth experience. I used my typical dozen shakes of Frank’s hot sauce. If the hot sauce tastes too much like vinegar it’ll interfere with the tannins and you’ll get a bad taste in your mouth. There were touches of that happening in my mouth, probably due to my excessive need for hot sauce, but not enough to get in the way.